Soft fluffy idlis! !Who doesn't wanna eat? !Learnt this from my MIL.She makes awesome soft idlies:).For some variation,Coriander leaves and green chilles can be added to batter and the same process as below be followed for Masala Idlis. Wash and Soak Urad dal and Idli Tari (Rava) separately for 8 hours. 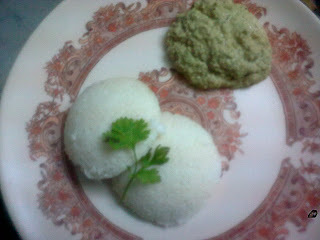 Wash and drain the Urad dal and Idli rava. Grind them separately in a grinder. (make sure not to add too much water). 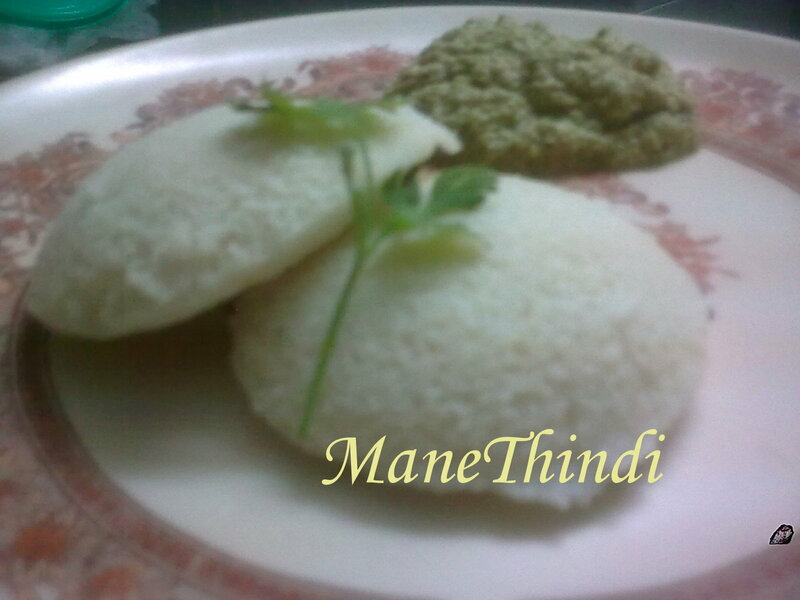 Mix the ground Idli rava and urad dal together into a thick batter. Grease the Idli moulds with very little oil . 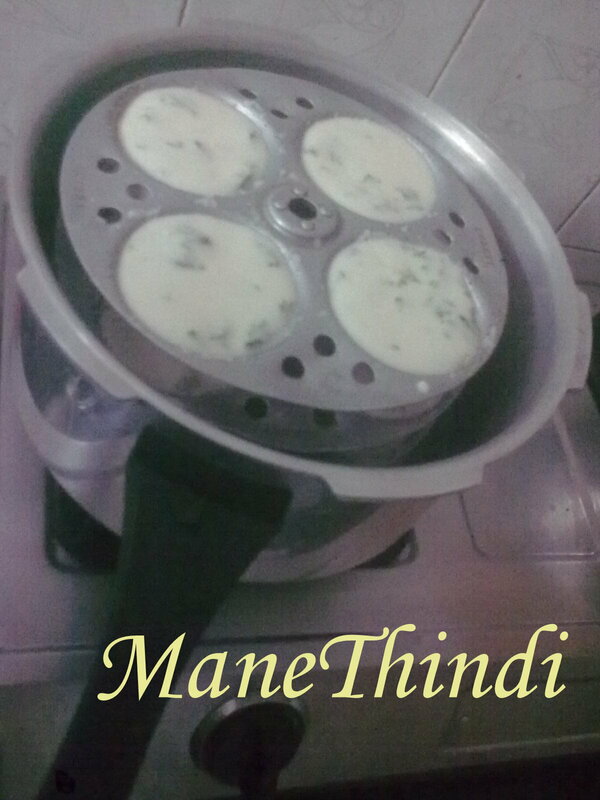 Fill each of the moulds with 3/4th full of batter. 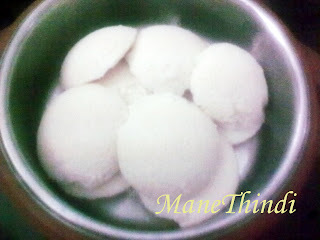 Switch off the stove,Let it cool for a minute and then remove the Idlis using a spoon. One of my all time favourites :)..Nice yummy pictures. Thanks for the tip sathish! 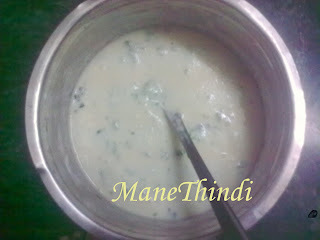 Thanks Shilpa!Pls do share your recipe as well!